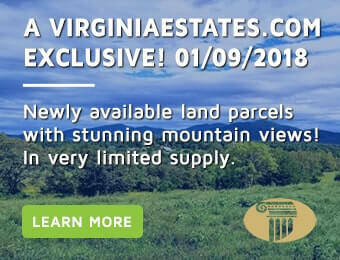 Virginia Estates’ – VA Real Estate Property Professionals offer you exclusive access to the finest Scottsville real estate and Buckingham County real estate. Also find Albemarle County property, residential homes, farms and land for sale. For more information, Scottsville and Buckingham real estate property listings, maps, topos and hundreds of other available properties. Our Scottsville Realtors and Agents specialize in serving the Scottsville historic community set in the rolling hills and vast country side next to the James River in Albemarle County. Scottsville represents a key place in the history of central Virginia’s ever since its founding in the eighteenth century, 1744. With a strategic location, situated adjacent to the James River, the small community offered immediate importance for the economic growth and sustaining the agricultural development that was absolutely critical during the Albemarle county’s formative years. As the original county seat and to this day, the county’s only incorporated town, Scottsville has long remained picture perfect symbol of small town America. The town beckons a walking to tour where you can visit all of the municipalities’ shops, parks, restaurants and historical attractions. If you are considering a home purchase in Scottsville, maybe you might bask yourself in the local comfort of one of the area’s local bed and breakfast attractions. Offering the sweet essentials and extra allure found at even the finest accommodations, any of these local treasures provide an intimate setting for comfort and relaxation. Ask your Scottsville realtor, Regina Alpaugh for more information about upcoming. Situated at the foot hills of the Blue Ridge Mountains, the town offers and ambience and grace of times past. With approximately 600 resident within Scottsville’s local limits, visitors and homeowners alike are drawn to the town’s Mayberry-style setting.